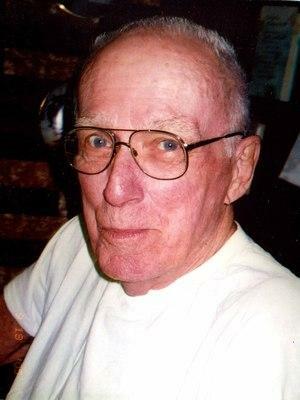 Chicago fire patrol > Topics > Former Patrol Lieutenant Warren Redick passed. "A fireman's fireman. Rest in peace." "Warren, thanks for the good times"
"we will always remember you. as well as your yummy garlic..."
"I will miss his always cheery attitude and the cookies. He..."
Mr. Warren Albert Redick, age 86 of Bull Shoals, Arkansas passed away Saturday, January 10, 2015 at his home. He was born November 10, 1928 to Raymond and Myrtle (Baumann) Redick. Mr. Redick enjoyed collecting and photography. Mr. Redick is survived by his wife and soulmate, Mildred Redick of the home, one son Steven Redick (Linda), Steven's mother, Joan, four step-children, Deanne Evans (Chuck), Bonnie Hesik (Tony Largent), Frank Hesik (Debbie), James Dixon (Terry), two grandchildren, Zachary and Frank. He was preceded in death by his parents, stepdaughter, Dawn and second wife, Pocahontas. All services will be private. Arrangements are by Twin Lakes Cremation Society and Funeral Home.